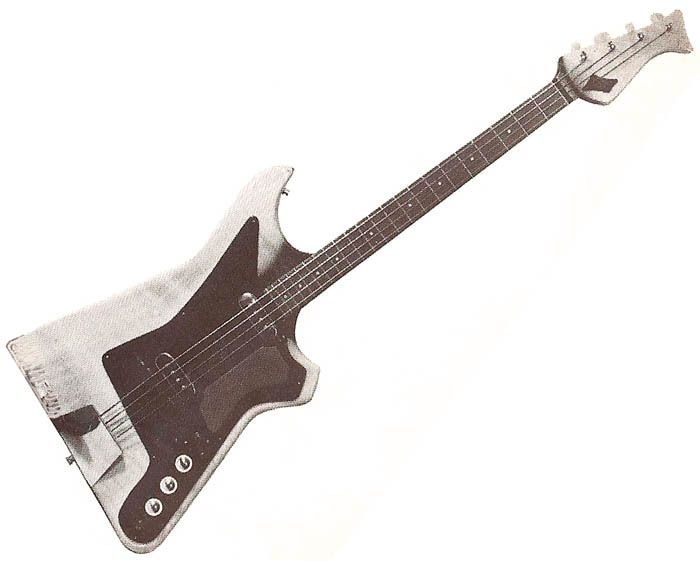 My first "not home-made" bass guitar was a Fenton Weill Contra Bass. 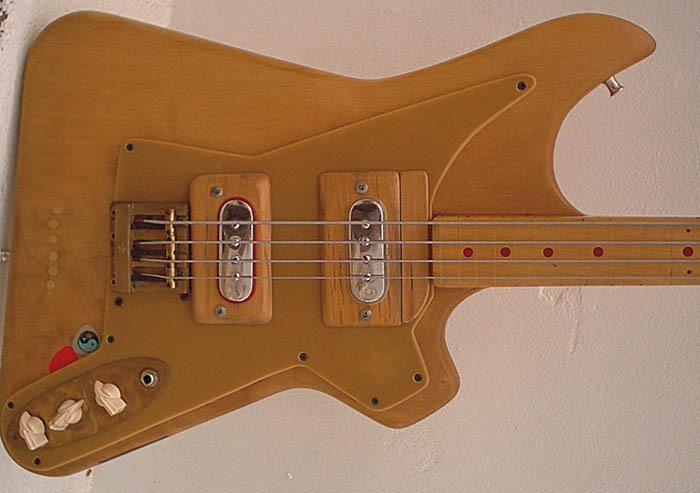 Even at the time (the early 1960s) it was both rare and unusual but I liked its looks and I was years away from being able to afford a Fender Precision Bass - the model Jet Harris played in The Shadows. 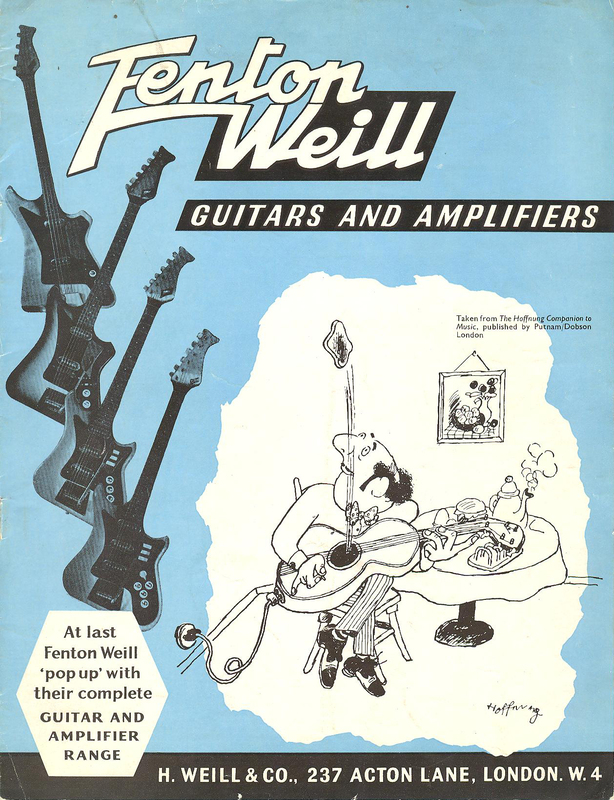 I've always had a soft spot for Fenton Weill guitars and have owned a few over the years. Looking back they weren't great guitars to play but then again compared to the alternatives at the time, such as the famous Futurama Three model, I guess they were what you could expect. At one stage I acquired the brand name although a few years ago I sold the trade mark to a chap who makes guitar pickups; very good they are apparently. I don't have much information that isn't elsewhere on the web but I've scanned the catalogue from around 1962 together with a couple of leaflets. Somewhere I have a leaflet on the amplifier that had a cylindrical speaker box. Real 1960s techno. Petra Opitz actually has an original Contra Bass which he intends to restore and right now it is being re-fretted. As can be seen the original bridge has gone and the knobs are non-original. It also seems that the electrical wiring is non-standard as well so there is quite a lot to sort out.